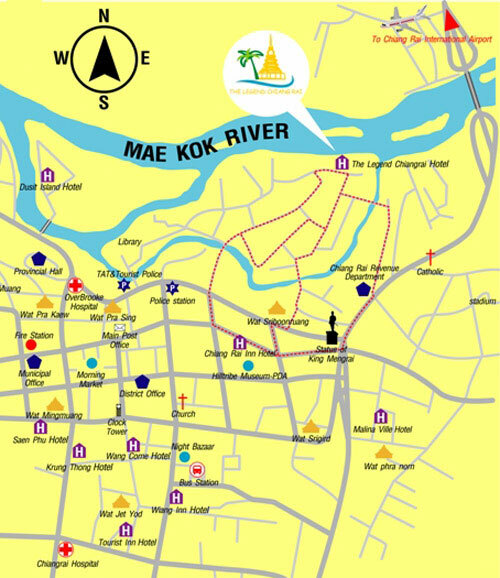 The resort is located directly on the Mae Kok River, secluded from the city, yet within a few minutes by car from the city centre. 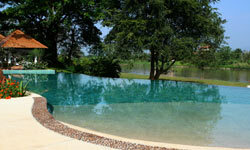 The immediate environment is relatively undeveloped providing a tranquil, natural location ideal for a resort & spa. The property has a panoramic view of the near-by hills and mountains. 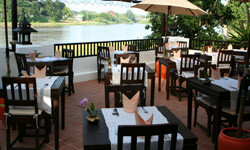 The riverside is largely undeveloped and preserved with large rain trees and lush vegetation. 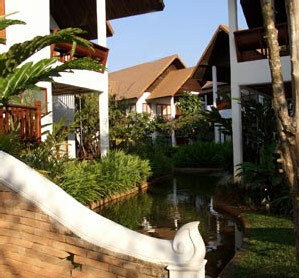 Single or two-story buildings with contemporary Lanna style architecture, with two, four or 6 units respectively with partial views of the Kok River or the lush gardens. Each studio has a living area of 52 square meters consisting of an air-conditioned bedroom, open-sala living area and a semi-tropical outdoor bathroom. 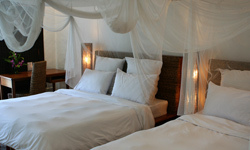 The bedrooms are fitted with either king or queen/single beds and a daybed which converts into an extra bed. 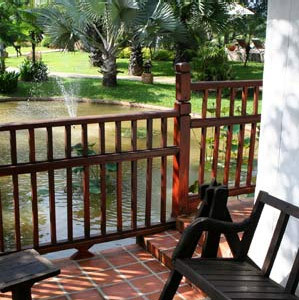 Single storey buildings of contemporary Lanna style architecture, with two studios per unit with stunning views of the garden. Each studio has a living area of 52 square metres consisting of an air-conditioned bedroom, open-sala living area and a semi-tropical outdoor bathroom. 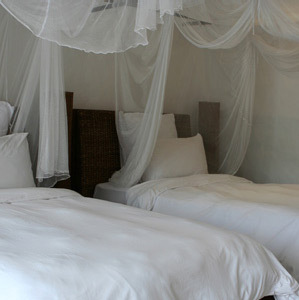 The bedrooms have king beds and a daybed which converts into an extra bed. 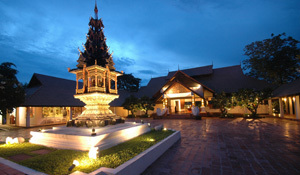 Single Storey building of contemporary Lanna style architecture, with two studios per unit with partial views of the lush garden. 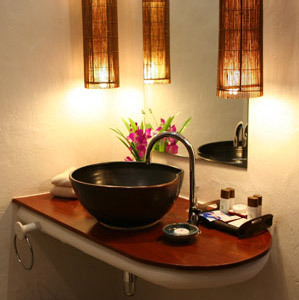 Each studio has a living area of 63 square meters consisting of an air-conditioned bedroom, a sitting area, a terrace and a semi-tropical outdoor bathroom with a double size bath tub featuring a relaxing jet massage. 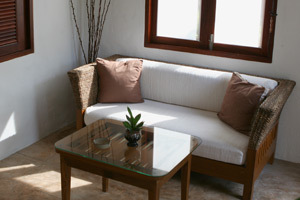 The bedrooms are fitted with either king or two single beds and a daybed which converts to an extra bed. 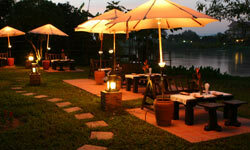 Situated right on the river front with an uninterrupted view of the Kok river, the pool villas feature a bedroom connected to an extensive outdoor living area, private swimming pool (11 square metres with jacuzzi) and a tropical garden with a total living space of 120 square metres (excluding swimming pool). 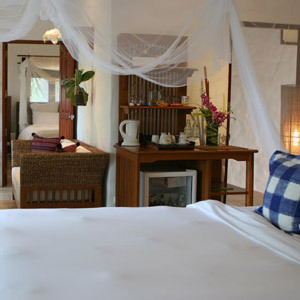 The spacious bedroom is fitted with king size bed as well as a daybed and writing desk. 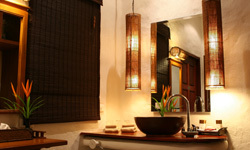 Separate walk-in closets with a dressing area lead to the bedroom and the semi-tropical outdoor bathroom. 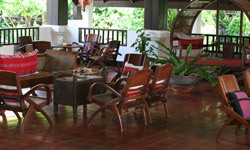 The living area, fitted with its private bar is situated next to the swimming pool and garden. 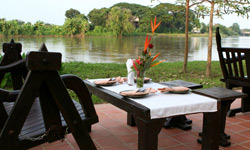 Situated right on the river front with an uninterrupted view of the Kok river, these Pool Villas feature two bedrooms connecting to an extensive outdoor living area, private swimming pool (11 square metres) featuring a relaxing jet massage and a tropical garden with a total living area of 165 square meters (including terrace and pool). The spacious master bedroom is fitted with king size bed, as well as a sitting area and writing desk. 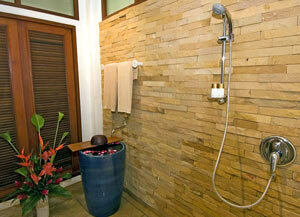 The semi-tropical outdoor bathroom has a double size bathtube featuring a relaxing jet massage. 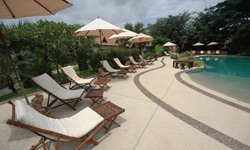 The terrace offers deck chairs and a swing sofa situated next to the swimming pool and garden. The smaller twin bedroom is ideal for children since it includes a connecting door.